The herbs used in this formula have been shown to exert a strong stimulating action that is most pronounced on the lungs and relieves chest congestion, asthma, bronchitis, pneumonia, chest colds, coughs and many other conditions. 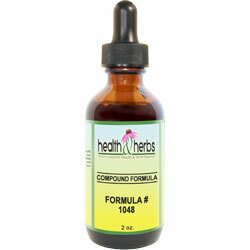 This herbal remedy contains herbs for the relief of chest congestion and to help you breathe easier. Mullein leaf, Verbascum thapsus, is frequently combined with other herbs in this herbal remedy for treating cough. Herbalists credit Mullein leaf tincture with having the ability to reduce inflammation and inhibit the growth of bacteria and viruses in your respiratory tract to alleviate congestion and help your body fight the underlying cause. The soothing mucilages of Mullein leaf extract coats sore throats and make coughing more productive. Mullein leaf extract tones the mucous membranes of the respiratory tract soothes irritated lungs and speeds the healing of damaged tissues. This herbal remedy is used in many lung preparations and cough syrups to alleviate a dry, hacking cough, whooping cough, sore throat, and laryngitis. Licorice root, Glycyrrhiza glabra, has been used for thousands of years to treat a variety of ailments and as a demulcent to soothe and coat inflamed tissues of the mouth, throat, and digestive tract. In addition, the herb acts as an expectorant, which has also been long valued. Glycyrrhizin, which is the main active ingredient in the Licorice root, acts as an expectorant by loosening and thinning mucus and phlegm from the respiratory tract, making it easier to cough it up. Glycyrrhizin also has anti-inflammatory properties. Today, alternative health care professionals continue to use the benefits of Licorice root liquid extract to relieve respiratory ailments such as bronchitis, colds, coughs, congestion, sore throat, and allergies. Its antiviral properties may help shorten the duration of upper-respiratory infections. Additionally, the UMMC acknowledges Licorice extract's traditional use as an asthma treatment. Cayenne Pepper, Capsicum, is a useful herbal remedy in this formula because it is rich in important antioxidants and contains capsicum, which is an expectorant. The sweating and heating action caused by Cayenne extract can liquefy mucus to relieve a congested chest. It is used in combination with sweet herbs, such as Licorice to make it milder. Nettle, Urtica dioica, is well known for its anti-inflammatory effects on the treatment of allergies. An extract of Nettles is also thought to act as an expectorant, releasing and reducing the occurrence of congestion and phlegm, which then may help to treat asthma, chest congestion, laryngitis, and bronchitis. The "Nursing Herbal Remedies Handbook" states that Nettle extracts are also used as a "lung tonic" to promote lung health in ex-smokers. Spikenard, Aralia racemosa, is an expectorant, lung tonic, anti-inflammatory, antimicrobial, an adaptogen, or a substance that helps balance and regulate your body's processes and stressful internal situations, including asthma attacks. Spikenard herbal extract has been used for centuries and is considered a specific in benefitting bronchopulmonary tract conditions. It has been used in cases of chronic laryngitis with excessive mucus, and in similarly conditioned pharyngitis. Spikenard liquid extract is beneficial in treating irritable cough, wheezing and dry mucus. Eucalyptus, Eucalyptus globulus, can be used in liquid form as a way to treat congestion caused by cold and other viruses. There is some preliminary evidence that eucalyptol, a chemical found in Eucalyptus leaf liquid extracts, can ease asthma symptoms by breaking down mucus, making it easier to breathe. Some people have been able to take fewer steroid asthma medications by adding eucalyptol, a natural treatment for asthma, to their regimen. Violet leaves, Viola odorata is used in the treatment of bronchitis, respiratory catarrh coughs, and asthma. It also contains salicylic acid, which is used to make aspirin. It is therefore quite effective in the treatment of headaches associated with colds, congestion, and sore throat. It has a long and proven history in the treatment of whooping cough. Blue Vervain, Verbena hastata, is included in this herbal remedy for calming coughs. Research shows that Blue vervain has pain-relieving and anti-inflammatory properties that can help to relieve respiratory inflammation. This herb works to fight mucus, especially for coughs that are associated with colds and is excellent for treating ailments of the lungs. It is useful for treating upper respiratory asthma, and whooping cough and gives a calm and tranquilizing effect on the body. Wild Yam, Dioscorea villosa, has been used to treat inflammation, muscle spasms, and a range of disorders, including asthma, it may even prevent spasmodic asthma. It has been used medicinally for treating various conditions such as whooping cough, spasms, and spasmodic hiccoughs. It has strong, nutritious starches, vitamins C and B6, high in potassium and has great anti-oxidant value. Horseradish, Armoracia rusticana, is a strong expectorant, a bronchodilator that is used to fight bronchitis and lung congestion. It is often recommended for the treatment of asthma and other breathing disorders. Horseradish root alleviates colds, runny noses, and sinusitis by promoting nasal discharge and releasing phlegm from the lungs. Ingredients: Mullein Leaf, Licorice Root, Cayenne Pepper, Nettle, Spikenard Root, Eucalyptus, Violet Leaves, Blue Vervain, Wild Yam, Horseradish, Structured Water, 20% Alcohol. Non-Alcohol: Mullein Leaf, Licorice Root, Cayenne Pepper, Nettle, Spikenard Root, Eucalyptus, Violet Leaves, Blue Vervain, Wild Yam, Horseradish, Structured Water and Vegetable Glycerin. From K of Eagle River, Alaska on 10/11/2014 . From scott conn of augusta, Georgia on 2/18/2013 .